Wandering through a bleak Manhattan in the midst of its Christmas Eve rush like some hoodlum Holden Caulfield, Frankie Bono (Allen Baron) is positively saturated with hatred for everyone and everything around him. He was supposed to be concentrating on Troiano (Peter Clume), the mid-level mob boss with more ambition than brains who he’s been brought in from Cleveland to send to an early grave. But being back in New York, especially around Christmastime, ruins him with memory and he begins slowly losing the intense focus and passive hostility that brings him these high-paying assignments as a professional hitter. So with Troiano gone home to Long Island for the holiday, Frankie decides to clear his head by losing himself for as long as he can in the vast, indifferent throng, taking a walk around this hated city before it’s time to get back to work. 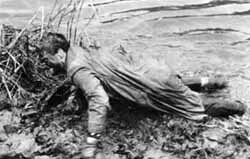 Allen Baron’s Blast of Silence was dumped like a corpse into a handful of theaters by Universal-International in April 1961 and rapidly vanished without a trace, only to be revived with no real frequency over the ensuing decades. Looking at it from the studio’s point of view, it’s not difficult to see why the film was barely a priority at the time of its release, being a cheap distribution pick-up from a couple of executive producers in New York (one of whom, Dan Enright, had distinguished himself as an especially mendacious figure in the Quiz Show scandals that consumed America for several months in 1958). In fact, Blast of Silence must have seemed downright perverse to executives at U-I, given that its protagonist wasn’t played by a Star, or anyone well-known to the public from either film or television, but by its writer/director; a pudgy, 26 year old non-actor whose prior directing credits had been a couple of Hawaiian Eye episodes and an assistant director gig on that piece of dreck, Cuban Rebel Girls (1959) — a picture that, had it not been for the allure of seeing Errol Flynn hitting the skids on celluloid, probably wouldn’t have been screened anywhere outside a couple of mangy drive-ins in Alabama and Kentucky. 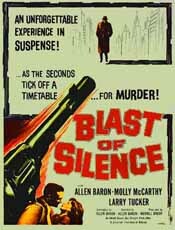 But Blast of Silence was a fast, cheap thriller with the requisite amounts of violence and gunplay, and those things could always make a couple of bucks for a studio in the end if the deal was right. 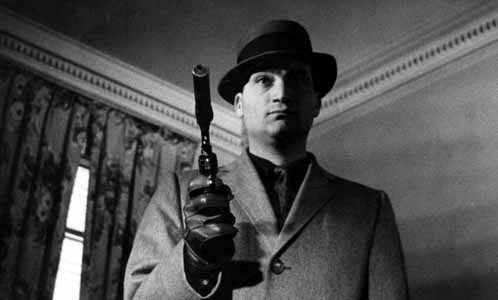 Of course, nobody was thinking in terms of “film noir,” certainly nobody in Hollywood in 1961. By the time cinephiles were busily compiling the noir canon like a pack of faith-crazed monks later in that decade, Baron’s film had already disappeared into the ether without them noticing; a film born obscure that soon passed into the endless night of a still greater obscurity. Which is as unfortunate as it is typical of the mass-market cinephile’s perpetually distracted mindset, for Blast of Silence is possibly the great lost masterpiece of film noir; a twilit, deathward emanation of everything that had underlain the form from its beginnings. No American film before it, made in Hollywood or anywhere else, had trafficked so promiscuously in unadulterated nihilism, or so used the condition of Hate — constant, irritated Hate, with no coherent Other to direct it toward — as its emotional motif. The loneliness and doom and spiritual unease that operated at noir’s core and became more pronounced as the form slowly began shedding its visual trappings in the 1950s, here became its dominant emotional surface, infecting everything, consuming every character in the film rather than simply its protagonist. 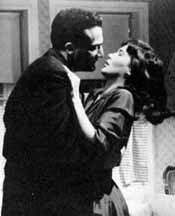 In earlier, more celebrated noirs, for instance, no matter how twisted the nominal hero or his adversaries might have been from within, screenwriters always managed to balance out their human landscape with so-called “normal” people, usually in the form of cops, sweethearts, and other assorted bystanders to the gathering darkness of these scenarios. That these characters were usually the least believable of all made them no less necessary to a Hollywood storytelling model that had long ago steadfastly rejected nuance. But in Blast of Silence, Allen Baron ignored the rules and brought forth a dissociated, ugly vision of his fellow man that, unlike its closest spiritual predecessors in noir, Aldrich’s Kiss Me Deadly (1955) and Irving Lerner’s Murder By Contract (1958), never resorts to either grotesquerie or easy symbology. 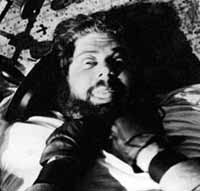 Throughout the film, Baron’s secondary characters are to one degree or another living through the same moral decomposition his Frankie Bono is, and with as little success: A swinish gun dealer (Larry Tucker) who initially tries to rip Frankie off for the price of a .38 and a silencer, attempts to squeeze even more money out of him through a clumsy shakedown (though it gets him killed in one of cinema’s more brutal scenes of that period); an old acquaintance of Frankie’s (Molly McCarthy) who takes a kind of gleeful pity on his solitude and invites him ’round to her apartment to celebrate the holidays, only to come within an inch of being sexually assaulted. In fact, the character who seems least deserving of Frankie’s hatred is Troiano, the man he’s been hired to kill. We only see Troiano from a distance; through Frankie’s eyes, as it were. Yet despite his regular shack-up with some ardent young thing in Brooklyn, he lives a stable suburban existence for a hood. Which, of course, only makes Frankie hate him all the more. Frankie Bono’s quiet but no less intense loathing for the world around him — spoken before we ever see him by the film’s ubiquitous offscreen narrator (an uncredited Lionel Stander, acting as the persistent spite-filled voice in Frankie’s head) — not only isn’t portrayed as aberrant, its seems the one trait that renders him such a highly skilled, well-paid professional in his field. As we follow him through every element of the job, the narration reveals more and more dimensions within a damaged psyche that nevertheless appears to aid in his extraordinary competence. Only when Frankie gives in to errant feelings of longing and regret for what his overall disconnectedness and despair have brought his life to, only then do his talents, his great sure-footedness in setting up the hit, begin to falter; getting him in serious trouble when, in a fleeting moment of supreme self-doubt, he informs his contractors that he just can’t bring himself to do the job. But rather than pursue this new perspective and renovate his character in its light — as he might have had Blast of Silence been a more conventional Hollywood film — the regret soon passes and Frankie proceeds with his work; he now has to live with the awful, impending consequences of his momentary weakness, that’s all. It’s a truly odd, depressing posture for an American film. As far as Blast of Silence is concerned, chronic nihilism and despair aren’t debilitating conditions at all. They’re so conducive to success that they become positively therapeutic. But these conditions, therapeutic or not, had always been at the heart of film noir. The stock situations and visual furnishings that typified noir in its classical form of the 1940s were little more than thematic stand-ins, substitutes for those elements in our nature that Hollywood always made a point of not confronting directly. A film like Dmytryk’s Murder, My Sweet (1944) may have dwelled in Raymond Chandler’s netherworld of moral twilight, but it could only hint at its contours through an interplay of light and shadow, a German Expressionist holdover that instantly dominated the form until its gradual washing away in the next decade. Beyond its creative potential, directors in the 1940s found the visual components of classical film noir to be extraordinarily useful shorthand for character traits which could never be directly represented on-screen for one reason or another. As noir in the 1950s expanded into a larger, thematically much darker vision of American life, directors and cinematographers mostly abandoned the baroque visuals; they were now dolorous, too costly and distracting to be effective as anything more than strategically deployed visual adornment. But that twilit vision of humanity the shadows of film noir were first intended to conceal from its audience, that was never left behind. It remained just underneath the surface throughout the form’s evolution. Blast of Silence goes further than any previous noir in eschewing a lumbering chiaroscuro in favor of a naturalism closer to something like Cassavetes’ Shadows, further than even a later, comparatively sun-drenched noir such as Gerd Oswald’s Crime of Passion (1957). 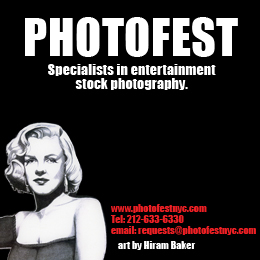 Having to work within the thinnest of shoestring budgets, Baron elected to use, as few filmmakers had before, the expressive potential of New York City; bringing his camera into the streets of midtown Manhattan at Christmastime, to Rockefeller Center, Harlem, Brooklyn, and Staten Island. Whether it was a conscious strategy or the result of having no resources to create a setting for his tale from scratch, this unglamorous, rather desolate photography of the city by Merrill S. Brody (who also acted as the film’s producer) worked immeasurably to Baron’s advantage. Indeed, as a directorial debut, Blast of Silence is an altogether prodigious achievement. A model thriller and character study, it takes us step by step through Frankie Bono’s process in setting up his prey for the eventual kill. And at every turn, Baron’s control of his mise-en-scene remains assured and proficient, with few if any missteps. If the film can be said to have a diminishing flaw, it’s that the wall-to-wall narration at times goes beyond underscoring the action on-screen and becomes simply redundant. There are moments when it tells us nothing that the film’s bleakest images could not have handled on their own. But where one might expect a certain amount of clumsiness in a no-budget film from a first-time film director, Blast of Silence is an unusually expert piece of film craftsmanship, coming as it did from a filmmaker who had no track record at all and, as the years passed, would never really succeed in making a name for himself in his chosen field. Born in 1935 (and currently still living), Allen Baron had a steady, relatively prosaic career after writing and directing Blast of Silence. He followed it up in 1964 with Terror in the City, another thriller of his own script that also went nowhere, only this time for Allied Artists. In 1972 he co-directed (with actor G. D. Spradlin) a draft-dodger melodrama, Outside In; and ten years later directed his fourth and final feature, a species of Ozark romance entitled Foxfire Light (these films remain, like their predecessor, trapped in the cinema rabbit hole). 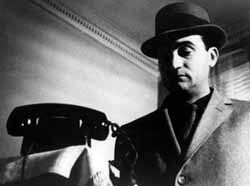 During this period Baron directed episodic television. A lot of it. Throughout the 1970s and ’80s his name could be found on everything from The Night Stalker and Barnaby Jones, to The Love Boat and the show he directed more episodes of than all others, Charlie’s Angels. If he was known for anything, it was television. And he stopped directing it for good in 1986. 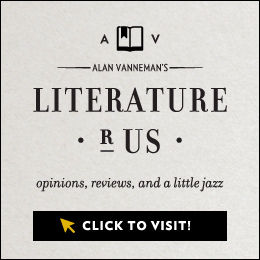 It would be apallingly pat, however — even for those who’ve seen Blast of Silence and know what talents lay within the man — to lament what might be seen as their waste on inferior material in the balance of his career. The reality is that Blast of Silence, masterpiece though it is, was buried alive by its distributor from the moment of its release and any director, regardless of his or her triumphs, has to do something to pay the bills when their finest work becomes the province of rumor. To date there has been no second life for Blast of Silence, only sporadic, errant pulse signs: some festival screenings in the late 1980s and early ’90s, the odd revival house haunting thereafter; nothing of great moment for a film that so warrants a renewed existence. Though Universal still holds all rights and title to this film, it has been demonstrably negligent in its responsibilities, leaving salvation of this essential work in the noir canon to the briny depths of the Bootleg Video Underground, where rumor is king and cinephilia, the kind that also failed to recognize Blast of Silence so long ago, finds no purchase.